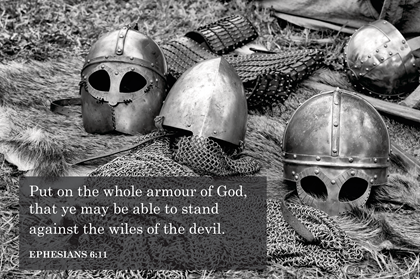 The Hebrew word translated keep means "to guard or protect." The Hebrew word translated heart is defined as, "the heart, also used figuratively very widely for the feelings, the will, and even the intellect; likewise for the center of anything." This Hebrew word has the meaning of "a guard (the man, the post, or the prison)." This word appears in the Old Testament 22 times, but is translated diligence only once. The other 21 times, this word is translated "ward," "watch," "guard," "offices," and "prison." 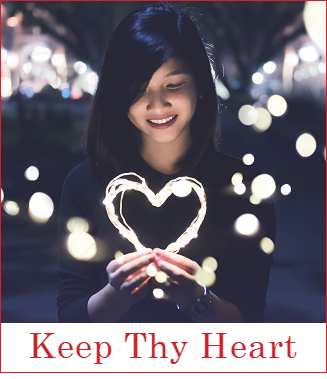 This word may be used to strengthen and emphasize the first key word, keep, as if to say, keep thy heart so safe, that it is in a maximum-security protected facility. This word has the meaning of "exit, boundary, or deliverance," and is translated, "goings out," "outgoings," "going forth," "issues," and "borders." This word has the meaning of "alive," "raw," "fresh," "strong," and "life, whether literally or figuratively." Perhaps the usage of this word here is life, as in daily life, the activities of everyday or living day-by-day. This scripture divides itself into two parts. The first phrase tells us what to do, and the second phrase tells us why to do it. 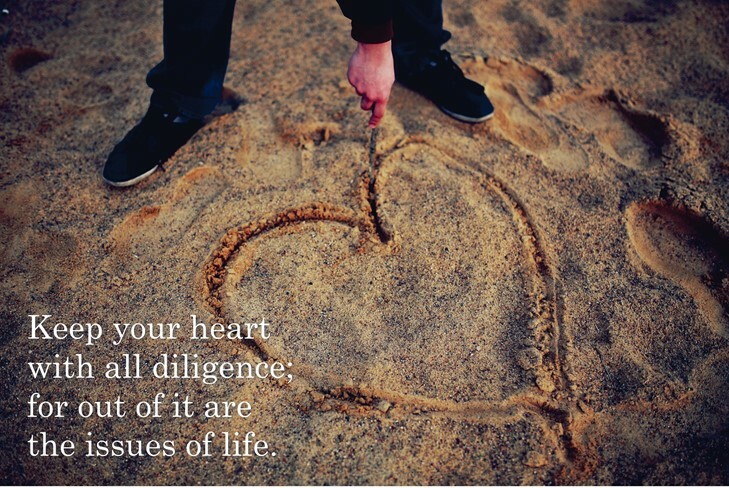 The first phrase is, "Keep thy heart with all diligence." Again, in Old Testament times the heart was believed to be the seat of one's emotions, thoughts and desires. In New Testament times until now, the mind was, and is known, to be the source of direction to the body. We'll spend time now discussing the mind, but we're also discussing what is meant by the word "heart" in the Scripture. Here Paul is describing to the Ephesian brethren what and who they were in their minds, before they were true followers of Christ. They were just like everyone else, "children of disobedience." This Scripture says that prior to becoming followers of Christ we all had our "conversation"—that is our conduct, our lives—in times past in the lusts, or desires, of our flesh, fulfilling the desires of our natural human bodies and of the mind. What, exactly is being spoken of here? 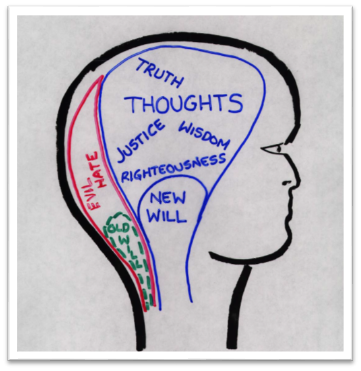 What is "the mind"? Thoughts can be simple facts such as 2 x 2 = 4 or the capital of Wyoming is Cheyenne. 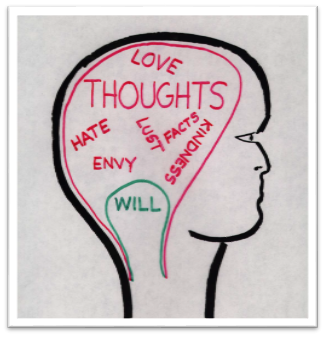 Thoughts are also elements of behavior—ways to express love, hate, generosity, happiness, sorrow, patience or impatience. Something is done—that's the response. 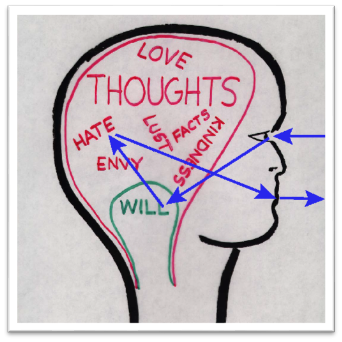 Using our illustration to show simple behavior, a stimulus comes through the eyes, ears or other senses to the will which selects a thought and routes it to the tongue, the arms, the legs or some other faculty of the body for action as a response to the stimulus. the eyes see something that triggers anger, which tells the mouth to shout words in response to what the eyes saw. The more times this path is followed from stimulus to response, the more automatic it becomes until it's almost instinctive rather than reasoned. The response becomes part of our nature, part of our "flesh" to use certain wording. The path drawn here does have some basis in medical science. Doctors believe that chemically generated electrical impulses flow through paths or circuits in the gray matter of our brains. These circuits are made up of nerve cells called neurons, which join together to form complex interconnecting paths. Where one neuron connects to another is called a synapse. Synapses are constantly made and broken, rearranged and remade, as we think. Our physical brains can only make and keep so many paths or circuits. Some of us make these circuits faster and keep them longer than others. These people think faster and have better memories than others. 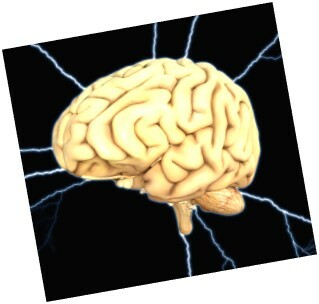 Circuits that become more or less permanent are one of two things: a memory in our thoughts, or a habit in our wills. People's habits and patterns of thought are shaped by their upbringing as well as influences in adulthood. Behavioral scientists understand that two forces shape our characters and our personalities. Those two forces are heredity and environment, or "nature," and "nurture." And Psalm 51:5 agrees. Heredity, or nature, is what the Scripture refers to where it says we are "born in sin." 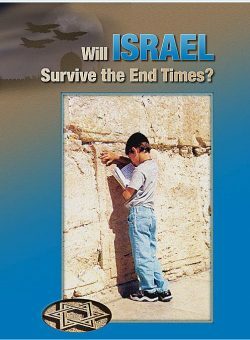 Environment, or nurture, is what the scripture refers to where it says, "shapen in iniquity." By being aware of the simple concept of "nature vs. nurture," we can begin to understand how each individual is different in their thoughts, knowledge, memories, or their ways of expressing emotions. Each individual is also different in their will and the way they respond to circumstances. Philippians 2:5, "Let this mind be in you, which was also in Christ Jesus." John 6:38, "For I came down from heaven, not to do mine own will, but the will of him that sent me." Taking these three scriptures together, we see that the "renewing of our minds" means to develop minds like that of Christ, and our Lord's mind was not under the control of his own will, but God's. As it should be with us: our will must be God's will. 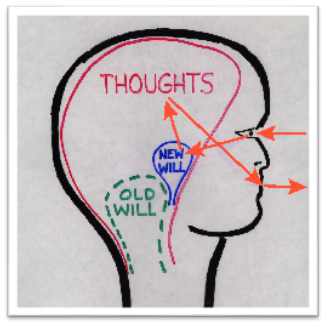 It is similar to the mind we saw previously, but notice a new will, God's will, appears along with the old will. 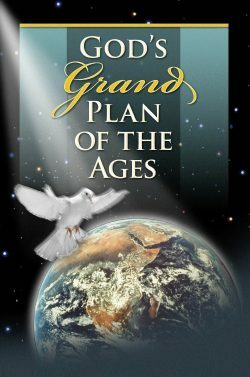 The old will is shown with a dotted line because from God's perspective, it's dead. He isn't dealing with our old will. He's dealing with our new will. The new will is what God has created in us. What exactly is this new will? It is thoughts, paths and patterns of thought that guide and control our actions, our response to stimuli, our behavior, just as the old will did before. You are what you think. When we first desire to approach God—to be pure, holy and to do His will—that desire marks the beginning of this new will. 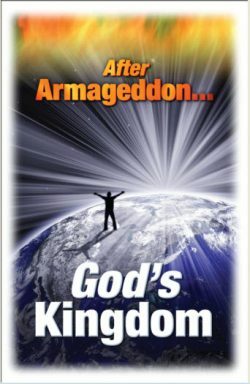 When God accepts this new will, we are promised everlasting life if it grows and develops properly. At first there is little that the new will feels like it can reach up to. Paul spoke of this in Romans 7:18, "For I know that in me (that is, in my flesh) dwelleth no good thing: for to will is present with me; but how to perform that which is good I find not." By and by the new will causes us to increase our knowledge of truth and righteousness. Our new minds grow in wisdom and as we consider the lives of Jesus, the disciples and our fellow followers of Jesus. We see in them examples of the paths, the patterns of thought we ourselves want to copy. The new creature starts out small, but grows with nourishment and exercise just as the old will grew from infancy to adulthood. Notice the abundance of pure and good thoughts. Notice the new mind has grown. This is who we want to be. This is who we should be. Notice also how the old will and the old thoughts of evil have shrunk through lack of use like a muscle that atrophies and weakens when it is not exercised. The circuits or paths in the brain that tend to these thoughts fade away, having been replaced by new, holy paths. This growth is the work of our lifetime and it is no easy task. It is an enormous struggle. This is where our original Scripture comes in. Guard your heart, that is your new mind, with all diligence—in a maximum-security fort—for, or because, out of it are the issues of life. 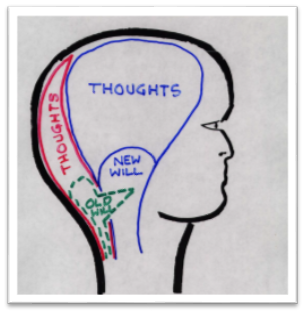 That new mind, that new will, issues all your words and deeds. Now, the old will is so entrenched in our minds it seems to fight for control. It wants its paths and patterns of thought to determine the response to stimuli. This battle in our minds causes enormous stress. It's as if we have two identities inside of us locked in a battle to the death. Scriptures describe this conflict. See Romans 8:5-9; 1 Peter 2:11; 2 Corinthians 10:3-5; and 1 Corinthians 9:24-27. The two minds cannot co-exist. One must triumph and the other be vanquished. No man can serve two masters. James 1:8, "A double minded man is unstable in all his ways." James 4:8, "Draw nigh to God, and he will draw nigh to you. Cleanse your hands, ye sinners; and purify your hearts, ye double minded." Satan tries to get us to believe that our old will is a part of our new will and is supposed to be converted. 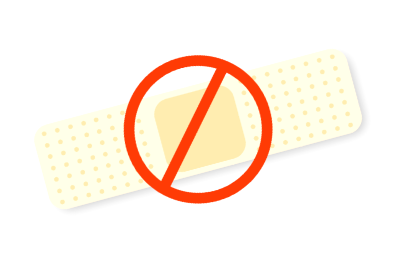 This error suggests that the old will's sinfulness is a wound that needs to be treated and healed. So according to this false teaching, who we are includes the flesh and we must make it perfect. That cannot be done and that is not our mission. If we are confused and try to make our old will perfect, we will only suffer discouragement at our failed efforts. Our mission is not to convert the old will, because it is reckoned dead. This is a confusion of identity: "I'm reckoned dead, therefore I reckon we're dead." The appeal of this clever tactic is that it suggests the enemy is already defeated. It twists Scripture and logic by suggestions such as "you have died, you are done with. The self you loathe is on the cross with Christ." This tactic goes on to suggest that there is no need to fight the flesh because it's dead, with false reasoning such as God has declared our flesh to be profitless, fit only for death. 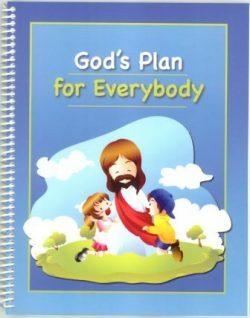 If we truly believe that and this error continues, then we shall confirm God's verdict by abandoning all fleshly efforts to please Him. Hence I am never again going to try to please Him, because every attempt to please God in the flesh is a denial of the declaration in the cross that we are utterly powerless to do so. If I try to please God in the flesh then immediately I place myself under the Old Law. Did that reasoning sound confusing and convoluted? It should have. If you hear it, don't believe it. And yet it has a strong appeal to those who do not have a strong sense of identity of who they are and who the enemy is. It gives them the false understanding that they need not try to get rid of the will of the flesh, that they need not fight the good fight. It has an appeal because it's easy. Such a confused Christian does nothing because he thinks nothing is expected of him. He is confused as to his identity and mission. This tactic is: "I'm reckoned dead, therefore nothing I do counts against me." This appeals to the flesh because it says you can continue in your sinful ways and since you're reckoned dead, no one gets punished, including the new mind. This tactic goes on to suggest that there is no need even to pray for forgiveness, that forgiveness is done. "There is no need to pray, but only to praise," this false logic declares. Contamination is not subtle, it is a head-on attack on the new will. Contamination tries to create a breach in the wall separating the new mind from the old. 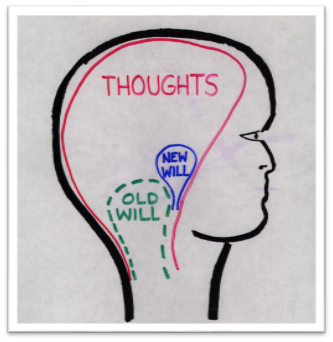 To get the new mind to accept and assent to the thoughts and actions of the old will because they are pleasurable. The new will sometimes may go along—it is aware and knows better and should do better, but does not. And the temptations are strong. Paul told the Hebrews in chapter 11 verse 25, "sin hath pleasures for a season." The first type of sin is the old will's response to a stimulus before the new will stops it. The new will did not initiate or direct that sin, or even agree to it. But neither did our new will prevent that sin, and in that failure to prevent, it is responsible. There is forgiveness freely available to us and our new will for this lapse of vigilance if we pray for it in the name of our Advocate, Jesus Christ. In the second type of sin, partially willful sins, the new will in some amount consents to the sin rather than being repulsed and ashamed by it. In this case, there is a degree of accountability and consequences. 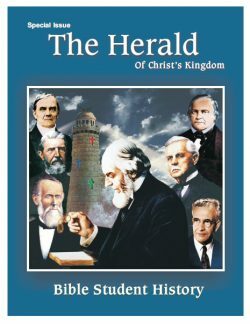 Charles Russell in his writings clearly defines the difference between the two kinds of sin, saying that the new will can't make the old body obey him perfectly. But he can develop strength in his endeavors to bring words, actions and thoughts into perfect accord with the perfect Law of God—Love. All sins to which the new mind does not consent are forgivable by Jesus, who merely needs to be appealed to as the great Advocate. Since we still own the flesh, we are obligated to repentance and prayer. To whatever extent the new will gives consent to the sin, he is worthy of experiences which correctively will assist in his character development. "What son is he whom his Father chasteneth not?" Verses 1-4: Listen to and heed my fatherly instructions and doctrine, just as I listened to my own father. Verses 5-10: Get wisdom and understanding, they will ennoble your character and add years to your life. Verses 11-19: Choose the right path in life, the shining path of the just. 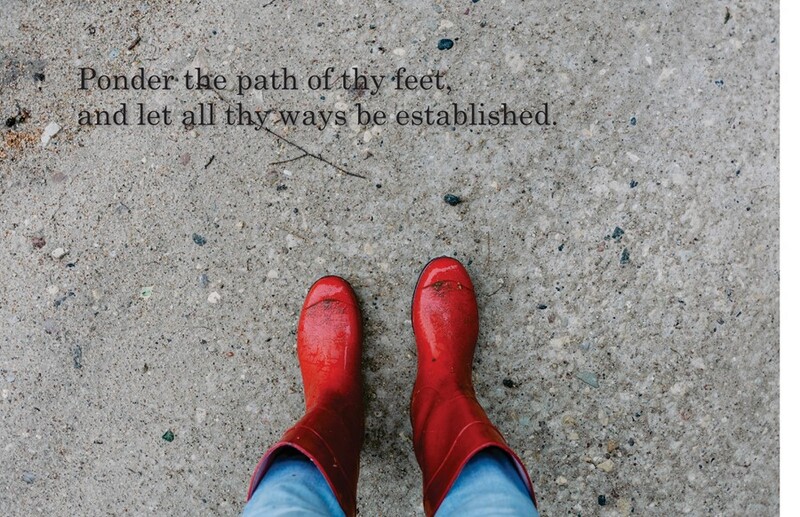 Stay away from the path of the wicked and the dark path of evil. You are your new mind.